Once upon a time a record company would sign an act they believed it and give them money up front to record an album and even draw up an agreement for a two or three album deal. If their first one or two singles failed to chart, they would try again and re-promote until they succeeded. Nowadays, if an act is lucky enough to get a record deal they have to have instant success or they’re dropped, hence why many acts now don’t need or want a record company’s involvement because there’s too much expectation and stress. The singer of this week’s suggestion was signed to Arista by Clive Davis and she spent her whole career with the one label. In 2001, she signed the biggest contract in music history: an eight-album deal for $100 million. That does not happen anymore. We’re talking about Whitney Houston. I Wanna dance With Somebody (Who Loves Me) was suggested by Joanneblee not so much for the story but, as she puts it, “Just because it’s my feel good song and always puts a smile on my face.” I can vouch for that because if I’m DJing at a party or wedding and you get a particularly stubborn crowd, then this track is almost certain to get people up. Whitney, who was born in 1963 in New Jersey, was destined to be a star given her mother was the gospel singer Cissy Houston, her cousins were Dionne and Dee Dee Warwick and her Godmother was Darlene Love so it was going to be hard for her to fail. When she was 11 she joined a gospel choir in her hometown of Newark and as soon as she reached her teens she went out on the road with her mother and occasionally join her on stage. She was introduced to Michael Zager who invited her to sing backing vocals on Life’s a Party – the non-charting follow up to Let’s All Chant – which then led to her to perform more regular backing vocals for Chaka Khan and Lou Rawls. She joined Arista records in 1983 and the label lined her up with a whole bunch of top musicians and songwriters. Her first hit, Saving All My Love for You, was a transatlantic number one which was written by Michael Masser and Gerry Goffin and originally recorded by Billy Davis Jr & Marilyn McCoo. George Merrill and Shannon Rubicam, who together form Boy Meets Girl, wrote the follow-up, How Will I Know, for Janet Jackson who turned it down so they passed the song to Whitney Houston, and it became a US number one and was also part of her multi-million selling album, Whitney Houston. Merrill and Rubicam were asked to write for Whitney’s second album and submitted Waiting for a Star to Fall. The standards were extremely high and the song was rejected. They knew it was a good song so they recorded it themselves and it became both a UK and US hit in 1988. The couple thought they would try again and I Wanna Dance with Somebody (Who Loves Me) describes a girl who is tired of dancing aimlessly. She wants someone who loves and appreciates her. Rubicam submitted it to Clive Davis, the head of Arista, who loved it, but her producer, Narada Michael Walden, felt it sounded more like a country song for Olivia Newton-John. Narada worked out an arrangement to make it funkier and then included Jim Gilstrap on backing vocals, Randy Jackson from the Jackson family on bass synth and Walden played drums. The song had a very bright sound and, unusually for the eighties, a calypso feel. 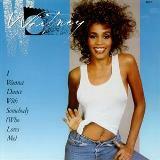 It was included on Whitney, the first album to go straight into the charts at number one in both the US and the UK. The album also included a duet of I Know Him So Well with her mother, Cissy. The video for the song showed Whitney standing fairly still which you wouldn’t expect for upbeat dance track, but that was because Whitney couldn’t dance. Brian Grant, the video director, brought in choreographer Arlene Phillips to help solve the problem and Phillips came up with the idea of surrounding Whitney with real dancers and thus diverting the viewers’ attention away from her. But, Whitney did add a suggestion to the track whilst in the studio, which was her repeated lines ‘Don’t you wanna dance, say you wanna dance, don’t you wanna dance’. It was in 1989 at the Soul Train Music Awards she met R&B singer Bobby Brown. He’d already had hits with Don’t Be Cruel and My Prerogative, but they began a relationship which led to them marrying in July 1992 – it lasted 14 years. At the start of her career she had seven consecutive singles make number in America and her biggest international hit was I Will Always Love You which spent 10 weeks at number one in the UK and 14 in America. The track is taken from the best-selling soundtrack album of all-time, The Bodyguard. In 2001 she was the first recipient of the BET (Black Entertainment Television) Lifetime Achievement award. In 2012 we received the shocking news that Whitney had died. She was found unconscious in the bath at the Beverly Hilton Hotel in Los Angeles. The official cause of death was accidental drowning and the effects of atherosclerotic heart disease and cocaine use. Her gravestone in New Jersey has a teardrop shaped headstone bearing the epitaph I will always love you. She was just 48.